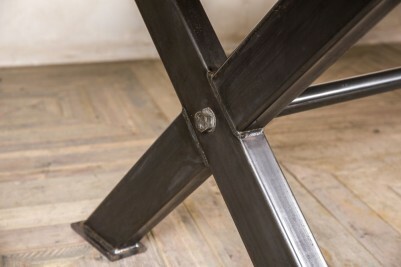 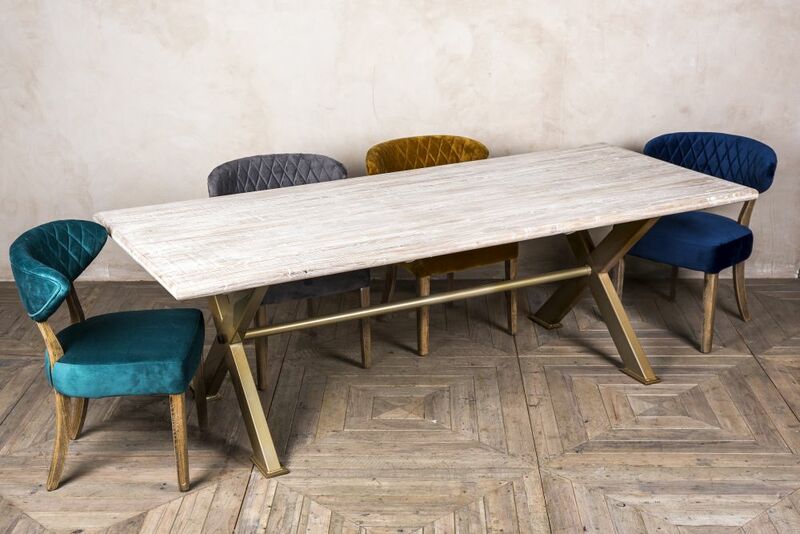 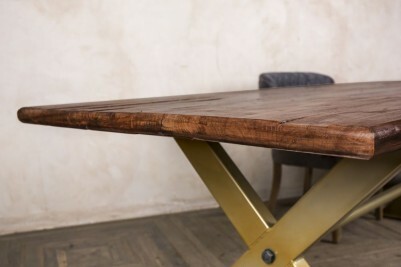 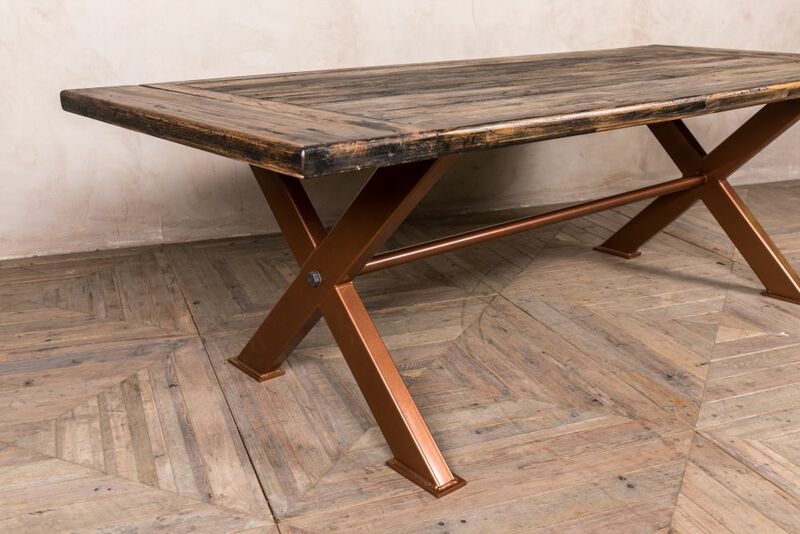 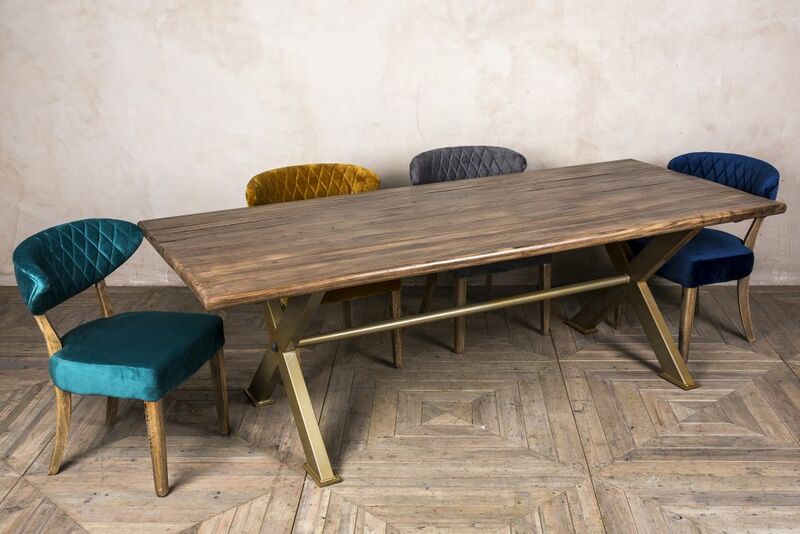 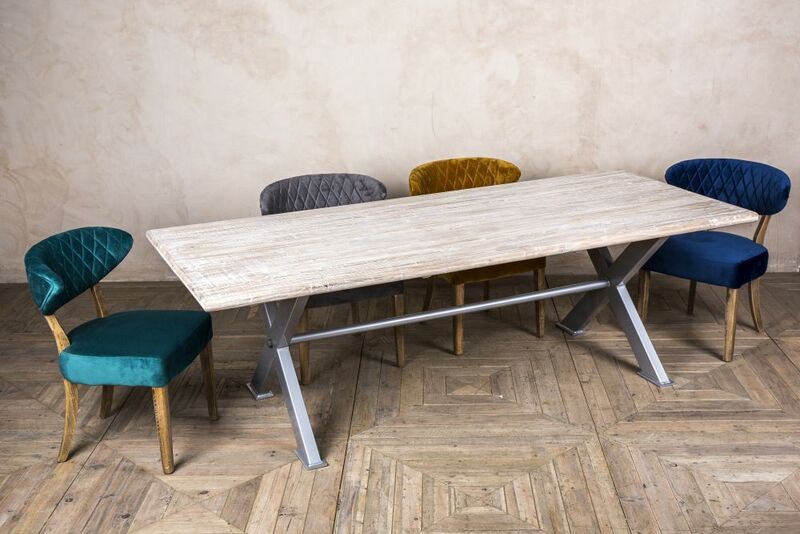 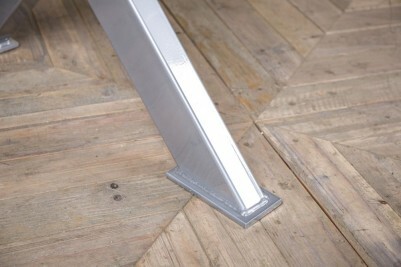 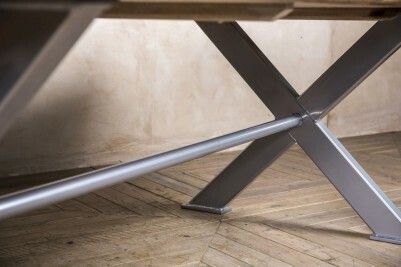 Introducing our new metallic X-frame table range! 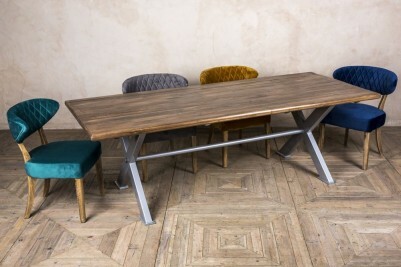 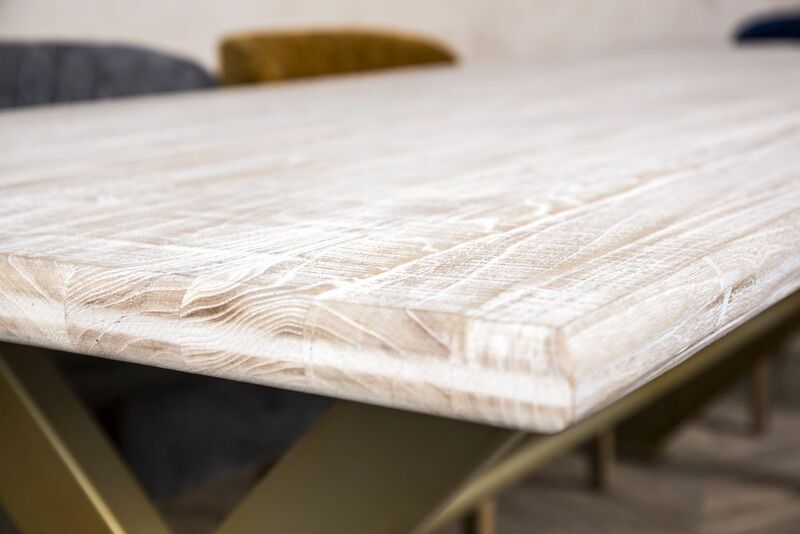 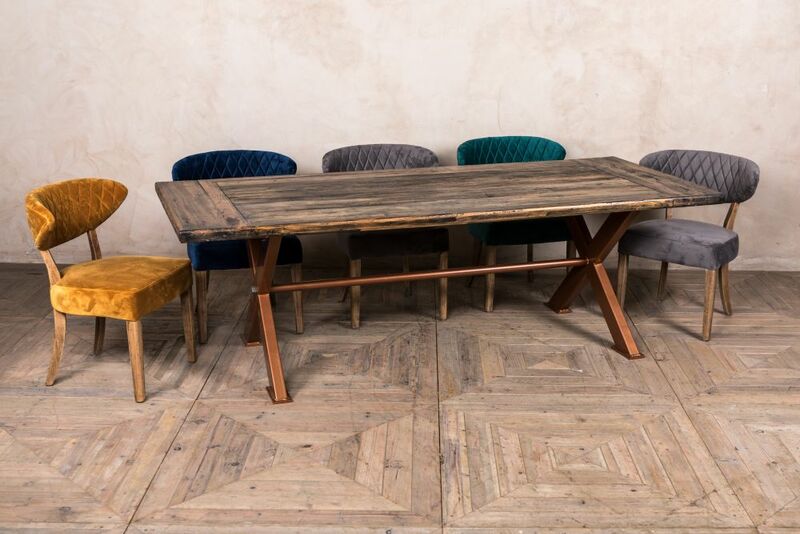 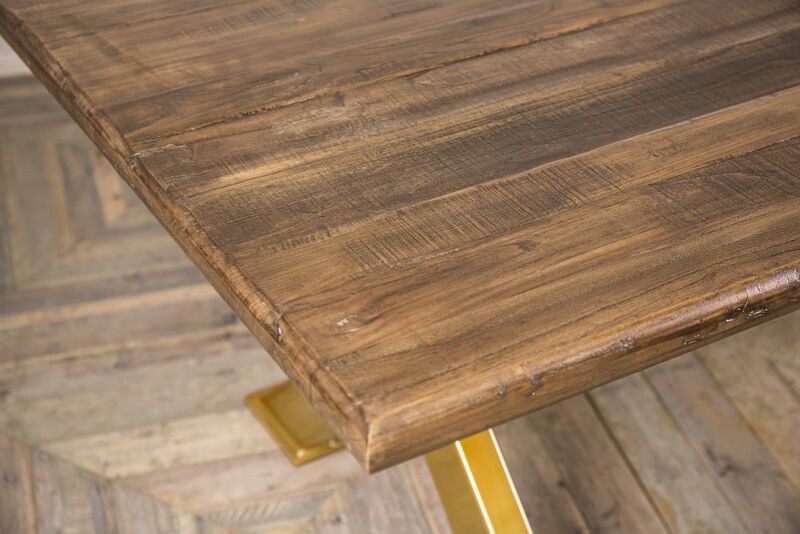 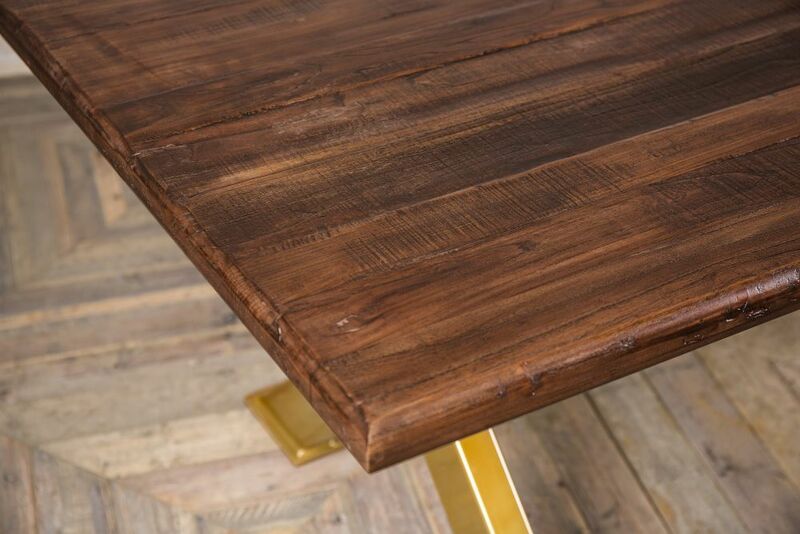 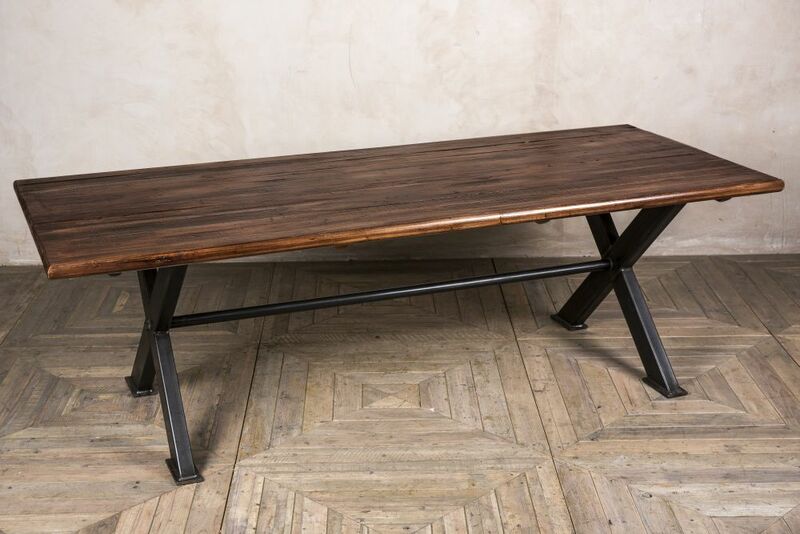 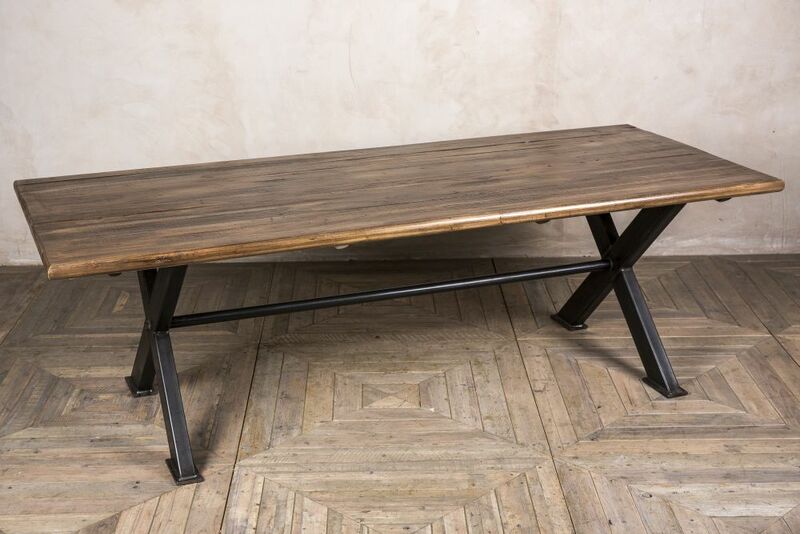 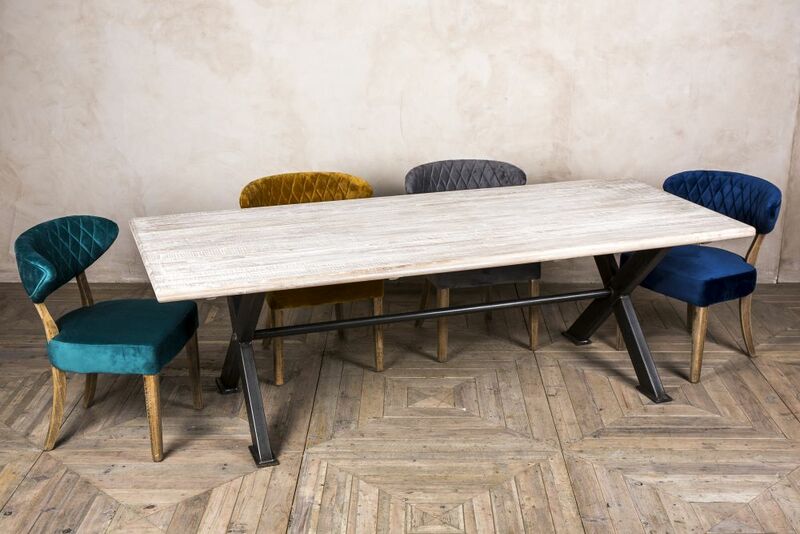 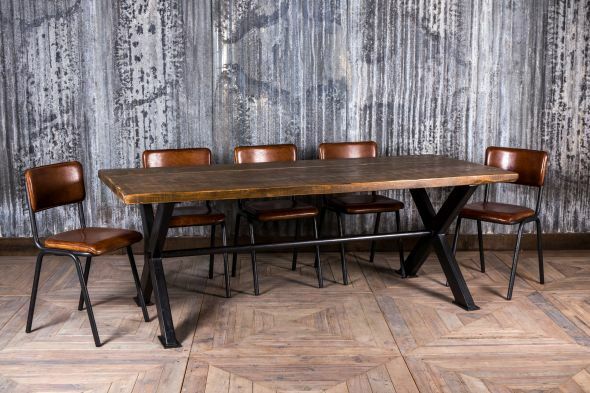 This collection of made to order dining tables comprises of 2m, 2.4m and 3m tables with elm tops and steel X-frame bases. 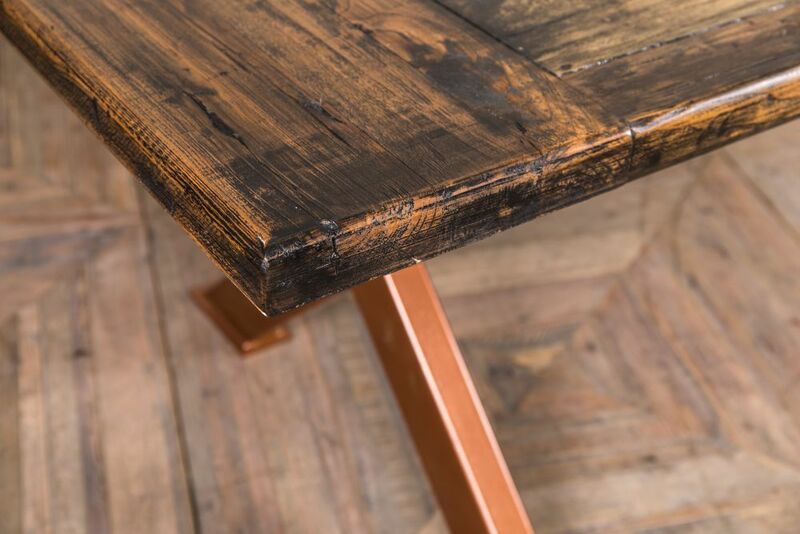 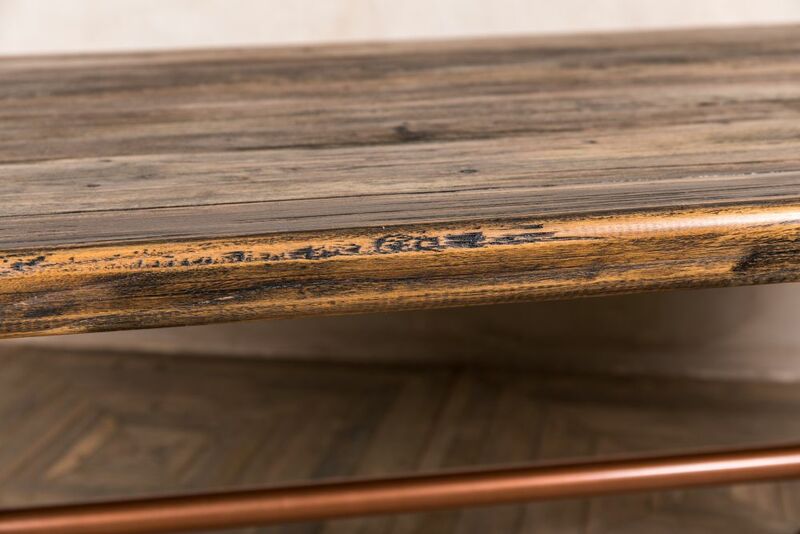 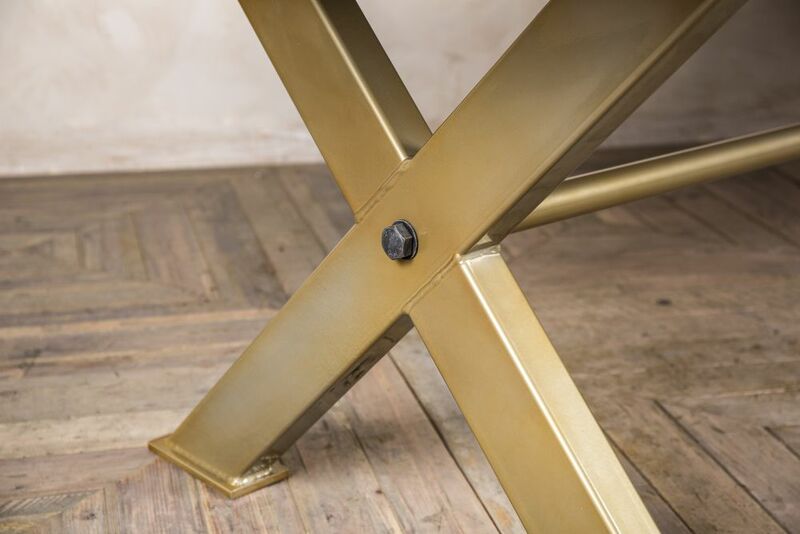 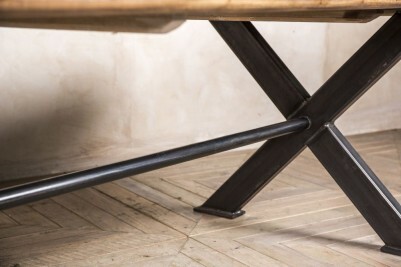 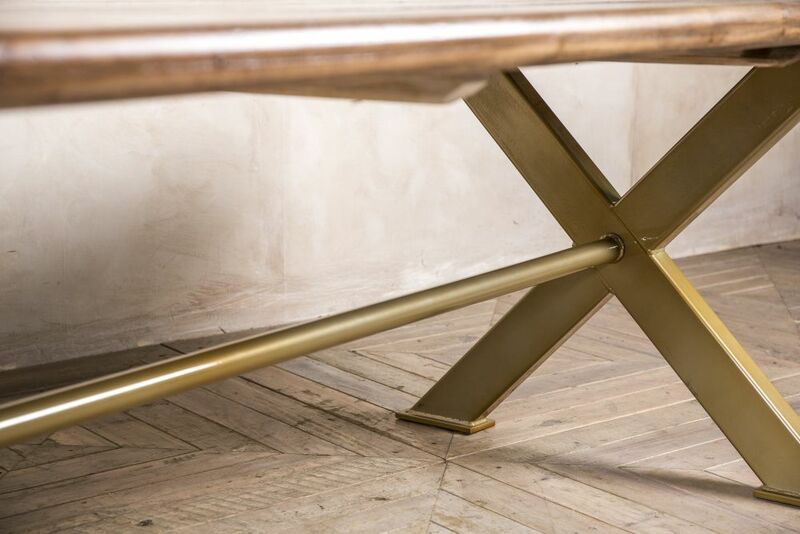 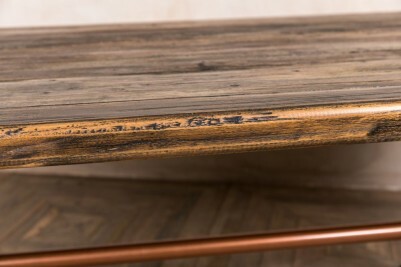 The base of the table has an industrial appearance; choose from a powder-coated finish in brass, silver, copper or natural steel. 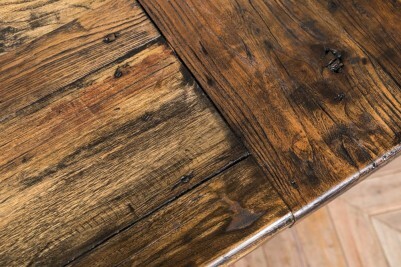 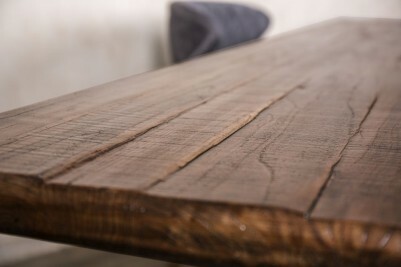 For your top, select from a red elm, medium-brown elm, rustic aged elm, or limed elm finish to best suit your interior. 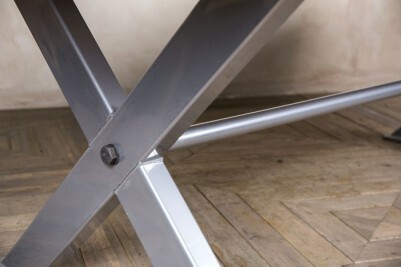 As these tables are constructed to order, there will be a lead time of approximately three weeks. 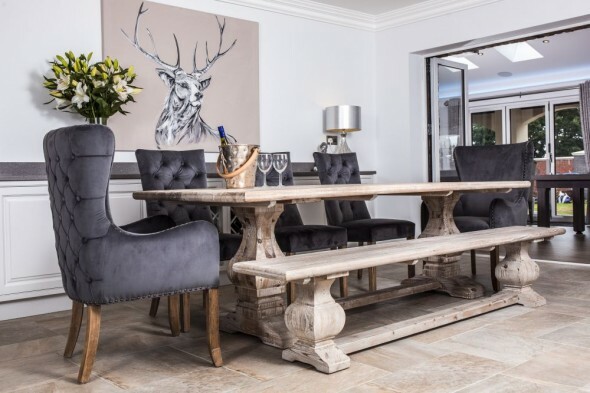 Here, we have photographed the table with our 'Orleans' velvet dining chairs; these chairs can be purchased separately, or choose from our huge range of leather, wooden and fabric dining chairs. 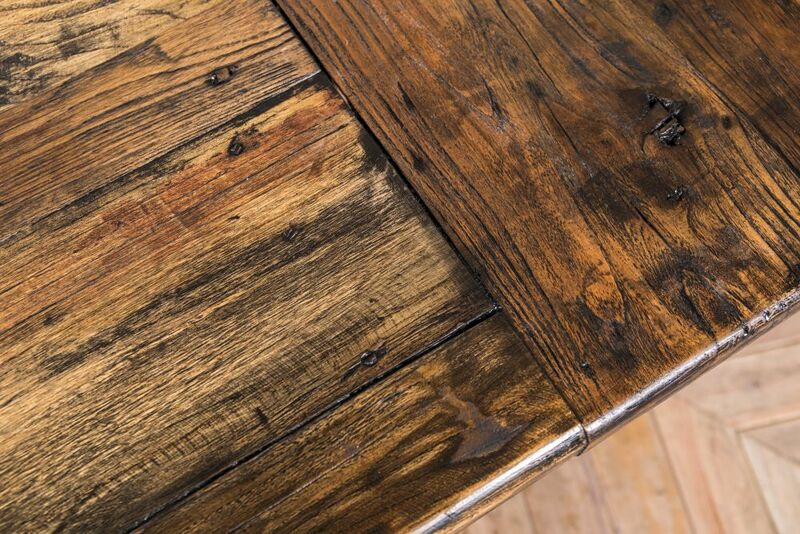 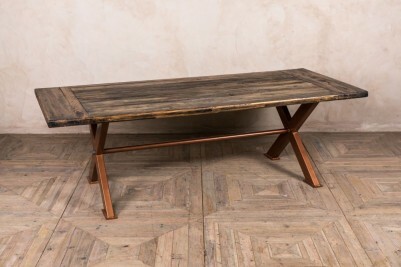 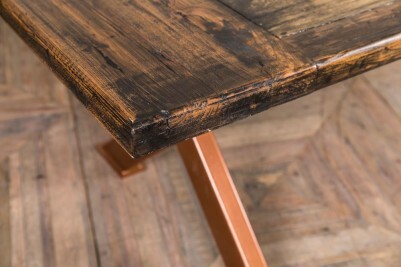 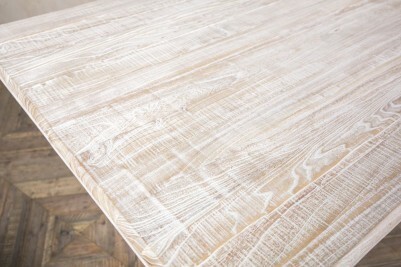 We also stock this 'Sheffield' table with various different tops.